Are your power and data needs as diverse as the country you live in? 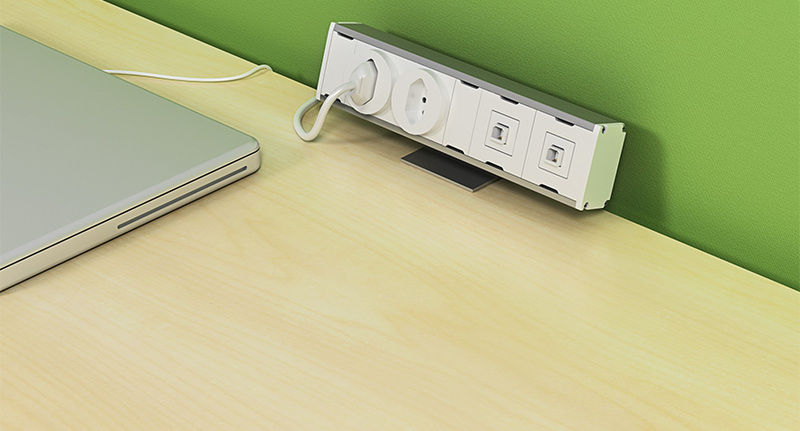 Cambio is Byrne's solution to true power diversification in the workplace, allowing the use of multiple receptacle types within one system. Wonderbar's streamlined design allows it to be mounted along a work surface edge, directly onto the wall, or below the table top. Fully scalable and customizable, Wonderbar easily accomodates the changing technology demands of any work environment. For more information, please contact your Byrne Customer Relations Team at 616-866-3461.